New. Trade paperback (US). Glued binding. 372 p. Contains: Illustrations, black & white. Technology in Action. New. 100% Money Back Guarantee. Brand New, Perfect Condition. We offer expedited shipping to all US locations. Over 3, 000, 000 happy customers. Trade paperback (US). Glued binding. 372 p. Contains: Illustrations, black & white. Technology in Action. New. 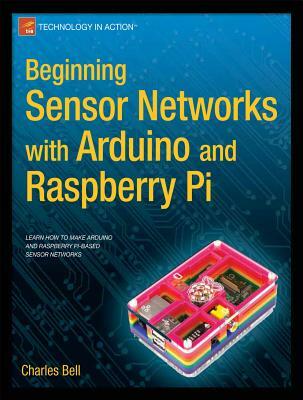 "Learn how to make arduino and Raspberry Pi-based sensor networks."--Cover. Num Pages: 372 pages, 137 black & white illustrations, biography. BIC Classification: UM; UT. Category: (G) General (US: Trade). Dimension: 236 x 194 x 20. Weight in Grams: 654. 2013. 1st ed. Paperback.....We ship daily from our Bookshop.